The Projects department at D. Rampersad and Company Limited manages larger scale projects mainly in the water, wastewater, oil and gas industries. It is aimed at coordinating individual duties in a manner which is both cost and time efficient incorporating communication amongst the Company and the Client so as to facilitate smooth operations and on-time completion of all activities. Monitor/Manage projects are to ensure they are completed on time. Ensure projects are completed within scope. Maintain cash flow to ensure projects are completed within cost. Ensure projects meet customer quality requirements. Supply and installation of various type pumps to include alum dosing, raw water, highlift, backwash and PAC pumps to name a few. 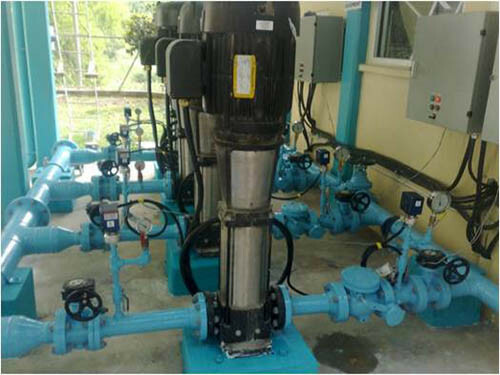 Supply and installation of chlorine booster pumps, chlorinators and chlorine leak detection systems. Supply and installation of electrical equipment inclusive of MCC’s, Transformers, PLC’s, electromagnetic flowmeters, cabling and other electrical ancillaries. Supply and installation of packaged equipment to include compressors, fire water pump packages and generators to name a few. Remedial works to Filter Tanks inclusive of repairs to tank internals and externals, supply and installation of filter media and filter nozzles. 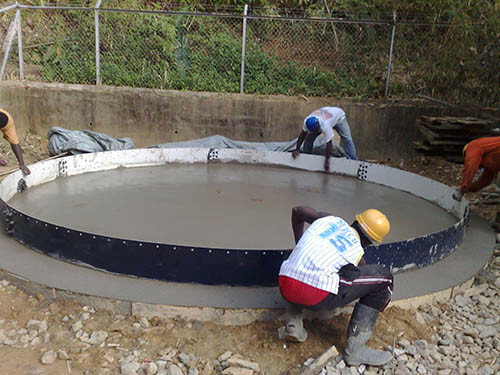 Supply and installation of sludge cone systems. Refurbishment and/or supply and installation of butterfly valves, check valve and gate valves with the capability to carry out API 598 testing. Supply and installation of valves and electric actuators. Construction and/or refurbishment of Storage Water Tanks inclusive of Glass-Fused-To-Steel Tanks. Application of heavy duty industrial epoxy paint and protective coatings as/when required. Water and Abrasive blasting of clarifier internals and externals. Replacement and welding of corroded metal parts. Supply and installation of penstocks, influent pumps, intake screens, conveyor systems, aerators, baffle walls, RAS/WAS systems, UV systems and clarifier mechanisms. 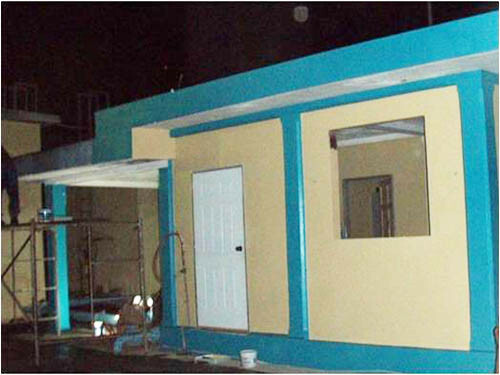 Civil engineering services to include concrete, floor, ceiling, roof and painting works to name a few. Refurbishment of the Courland Water Treatment Plant. Refurbishment of the Highlands Road Water Treatment Plant. Refurbishment of the Kings Bay Water Treatment Plant. Installation of an Online Pumping Booster Station at Big Yard Carenage. Refurbishment of the Edinburgh 500 WWTP Sedimentation Tank. Refurbishment of the Acono Water Treatment Plant. Refurbishment of the Biche Water Treatment Plant. Refurbishment of the North Oropouche Water Treatment Plant. Supply, Installation and Maintenance of a Sauer Breathing Air Compressor Package. 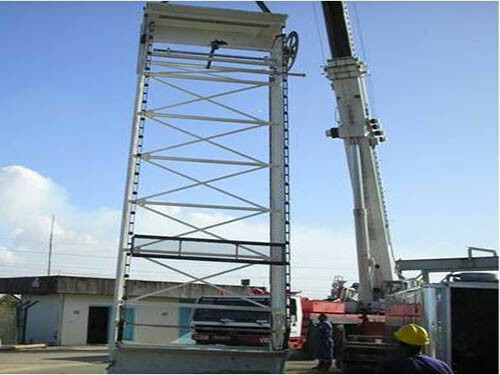 Turnkey Installation of Petrotrin Brackish WP Upgrade. Supply and Installation of a Fire Water Pump System at NP Sea Lots. BPTT Amherstia Chemical Injection Skids. Various Desalination Plant Expansion and Shutdown Projects. Travelling Screens at Tringen II Plant. Supply and Installation of Compressed Natural Gas (CNG) Refuelling Systems for CNG Service Stations in Trinidad and Tobago – Ongoing. Construction of a Glass to Steel fused tank. 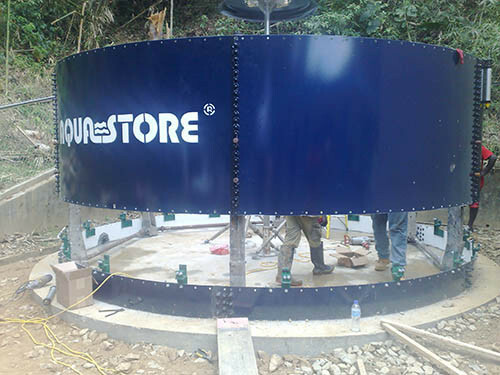 Aquastore tank - Comes with cathodic protection. Warranty up to 25 years. On-site piping works including fabrication, coded welding, painting, valve installation. Refurbishment & Re-installation of River Intake Station, Band Screens.